Aerophone bundles premium Capdase Ultra Slim Bluetooth Stereo Speaker with Galaxy S8/S8+. Aerophone opens its Samsung Rainy Day Promo by giving away premium speakers when you buy selected Samsung smarthpones in any of their stores nationwide. Buyers of Samsung Galaxy S8 and S8+ will have a Capdase Ultra Slim Wireless Bluetooth speaker bundled on their purchase. To give you an idea on how premium the POSH speaker is, check out the link below. Likewise, buyers of the Samsung Galaxy A7 2017 will also have a tube wireless bluetooth speaker. If you're looking for Galaxy midrangers like the J7 Prime and J5 Prime, you'll be delighted to with the Bluetooth headset bundles. 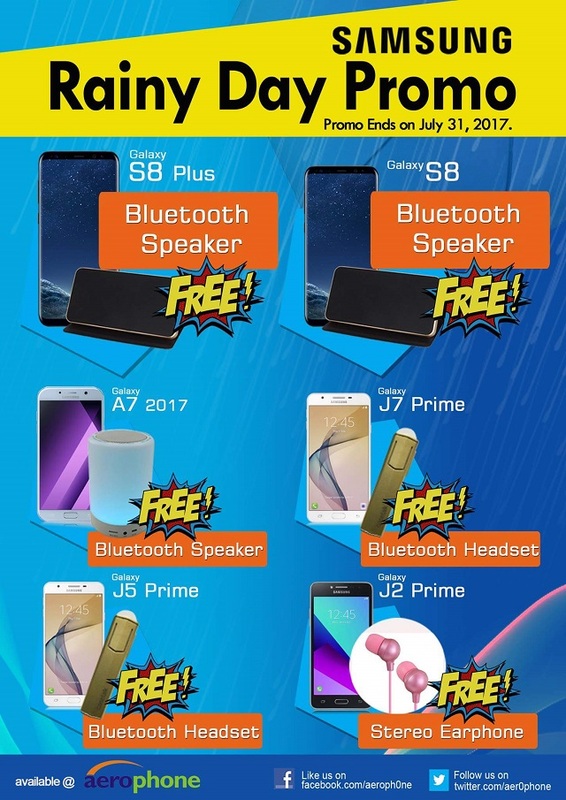 Buyers of Samsung Galaxy J2 Prime will also be having a free stereo earphone upon purchase. Visit your nearest Aerophone stores now or check their Facebook Page.